The Königssee is a natural lake in the extreme southeast Berchtesgadener Land district of the German state of Bavaria, near the border to Austria. 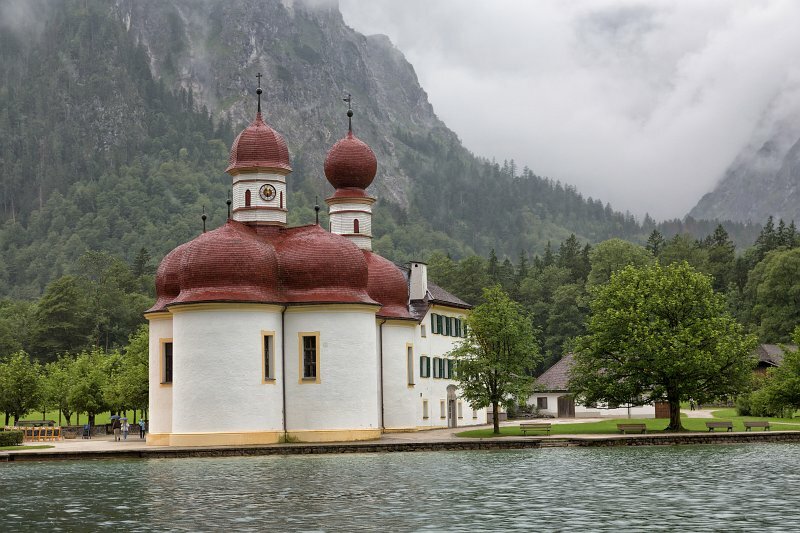 St. Bartholomä, a famous pilgrimage church, is located on a peninsula about halfway down the western lake shore. It named for Saint Bartholomew the Apostle, patron of alpine farmers and dairymen. A first chapel at the lake was built in 1134, from 1697 onwards it has been rebuilt.